The team at Host Healthcare, a healthcare staffing company based out of San Diego, California, has completed a leadership training program and sales coaching program, totaling over 100 hours of leadership training, with the Simon Leadership Alliance over the span of 2018. In addition to this, they completed a FreshBiz training session where they played a 90 minute board game that honed in on their entrepreneurial thinking skills and collaboration across departments. Each leader had specific takeaways that they were able to implement immediately in their work and on their teams. 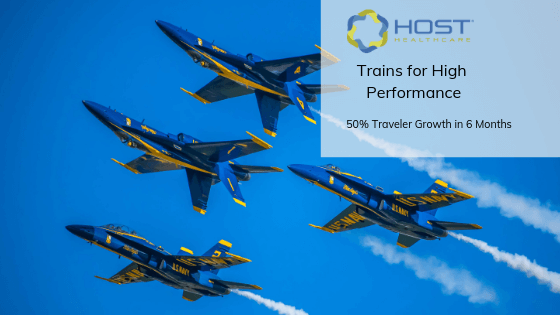 Due to the dedication of every leader and recruitment director, as well as the entire company’s drive for excellence, Host Healthcare has been able to close out their year strong with a 50% growth of travelers on assignment from July 2018 to January 2019. Their work has helped hospitals around the country get the nurses and therapists they need to ensure people get the proper care they need. Congratulations to your success in 2018 Host Healthcare! We are proud to support you in all your success. To learn more about how you can become a travel nurse, therapist, or allied professional at Host Healthcare visit their website at https://www.hosthealthcare.com/. Previous: Previous post: How your Team is your Lifeline to Achieve your 2019 Resolutions.